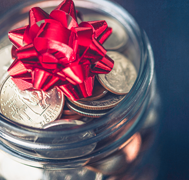 The holiday season is an expensive time of year, which is why many look for quick cash loans — including payday loans. If this is you, STOP. Payday loans are about the worst thing you can do for your bank account. If you need quick cash to cover holiday expenses there are other, better options, even if you have bad credit. Before we get into those, why are payday loans so bad? The maximum you can withdraw with a payday loan is $1,500. Payday lenders are not allowed to pay you more than half of what you would earn in a typical pay period in any one loan. Legally, a payday lender can charge up to $15 in interest and fees for every $100 borrowed. So, if you borrowed $1,500, they could charge $225, meaning you would have to pay back $1,725. If you borrowed $300 for two weeks, the loan would cost you $45 in fees. The same amount charged to a credit card with an interest rate of 23% would only cost you $6.15 in fees. They don’t allow time for repayment. In Ontario, all payday loans must be repaid within 62 days, but lenders can shorten that time frame. Most payday lenders will require the loan to be paid back within 14 to 28 days. So, if you borrowed $1,500, you would have to pay back $1,725 within two-to-four weeks, depending on the lender. Would you be able to get the money together by then? Often, people with poor credit are tempted to choose payday loans as their credit score is not taken into consideration. BUT if you already have bruised credit, you should be taking steps to improve your credit rating and a payday loan simply doesn’t do that. Even if you repay your payday loan on time and in full, payday lenders do not report to credit agencies so that won’t reflect on your credit report. The better route is to choose a loan that does report to the credit agency, so you can rebuild credit. They can leave you in a worse cash flow position. As we’ve mentioned, payday loans have expensive fees and must be paid back more quickly than most other loans. This can create a vicious cycle. Even if you have four weeks to repay a loan, would you be able to do so in full in that time? Most payday lenders do not extend long-term financing options until they are legally obligated to — if you have taken out three or more payday loans from the same lender within a 63-day period. If you’re looking for a payday loan, it may be because you can’t get a loan at a regular financial institution because of your credit. No credit check loans seem like the only solution. They’re not. Rather than taking the easiest route that has major (major) strings attached, think about what you have that could be pledged as security against a normal loan. For instance, our loans at Prudent Financial have lower payments, but are still short-term. Using a paid-off car, for example, could lead to much-needed holiday cash at repayment terms you can live with. We also offer home equity personal loans, which uses the equity in your home to get a fast, open, same day personal loan (if you have 50% equity to the value of your home). You may qualify you have a paid-off car that is six years or newer in your name, or if you own over 50% equity in your home. Contact us today for a free consultation. Prudent Financial can help you get quick cash this holiday season without the bad side effects of payday loans.